support of Principals. Throughout his career, Andrew has worked in complex rural and remote communities through to large regional and metropolitan schools. Andrew’s special interests are the provision of professional learning for school leaders, Principal Health and Wellbeing and is highly active in school sport. Andrew has demonstrated a passion for State education in Queensland for many years and possess an excellent understanding of the Principalship from first hand experience. Most importantly, Andrew has a genuine desire to make a real difference for School Leaders in the application of their ever increasing, complex roles in schools and the broader community. Diane Smith-Gander is a professional company director and has led an accomplished business career spanning many industries and countries, with experience at some of Australia’s largest corporations. She was a partner in the US at McKinsey & Company, the world’s pre-eminent management consultancy. Diane is a non-Executive Director of Wesfarmer, AGL Energy, WA’s Keystart Home Loans and she serves on the partnership council of Norton Rose Fulbright Australia a top 5 law firm. She chairs the SafeWork Australia member’s body and the Asbestos Safety and Eradication Council. Diane has a BEc and MBA and in 2015, she was awarded an Honorary Doctorate from the University of Western Australia where she is a member of the Business School Advisory Board. She is also a director of CEDA. She is the immediate past President of Chief Executive Women (CEW), a group that represents 500 senior women in business. at the University of Technology, Sydney, and a research analyst at Bovis Lend Lease. He has been commissioned to undertake multiple studies of senior leaders, covering topics of organisational resilience, innovation, and corporate governance. The largest of these involved interviews with Chairs of 100 organisations around Australia for the AICD. Ultimately, however, his passion is in education. His early research focused on experiential curriculum design for the development of 21st Century learning and he has been involved in numerous evaluations of school transformation and professional development programs across South Australia, Victoria, Malaysia and currently the Northern Territory. These experiences have provided Robert with a unique perspective on the challenges the school system faces as it tries to prepare young people for an uncertain and disrupted future. Robert holds a first class honours in curriculum development and worldview change, whilst his PhD involved the application of biological systems theory to improving learning and resilience in organisations. Kate Christie, Founder and CEO of Time Stylers is a Time Investment Advisor; Global Speaker; and best-selling Author. Kate consults to big and small business, government departments and C-suite executives on maximising individual time spend and managing organisational drag through smart time investment strategies. She has appeared on television, radio and in print as a leading commentator on time management and maximising work/ life integration to ensure your success across work, family, community, and life. with a lasting impact on the way you choose to live, work and play. and the United States. At BHP Lance led the Company’s global transportation activities and he spent many years in the BHP Steel business. Lance retired as Managing Director & CEO of Aurizon in November 2016. Having joined QR as CEO in 2007, he led the state-owned rail freight business through a successful IPO in November 2010. During the subsequent six-and-a-half years, Lance led the renamed Aurizon through a major safety, customer, cultural, operational and financial transformation into one of Australia’s strongest performing companies. of 2014. Today, Lance is a Non-Executive Director of Huawei Technologies Australia, together with other private company interests. He provides a range of consulting and advisory services to companies in Australia, New Zealand and USA. Queensland. This is a diverse region which covers the Cape, Torres Strait, Cairns, Tablelands and Johnstone area. The role focuses on Early Childhood Education and Care and Schooling. Margaret began her career as a primary teacher, and also taught as an itinerant music teacher. She has enjoyed the challenges of being a teacher and then Principal across a variety of schools in various geographical locations – from Mutchilba, Clifton, Chillagoe, Yorkey’s Knob in Far North Queensland to Ramsay, Nobby, Clifton and Harristown in Darling Downs South West Region to Goodna State School in Metropolitan Region. Margaret then moved into the Assistant Regional Director (School Performance) role in South East Region. 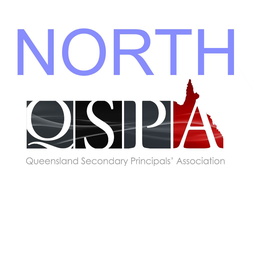 Mark Breckenridge is President of the Queensland Secondary Principals’ Association taking up that position in January 2018. Mark has more than thirty years of experience as Principal across a diverse range of schools from small one-teacher schools, P-10 rural through to regional and metropolitan high schools with large student enrolments. During this wideranging career Mark has developed an appreciation for the complexities inherent in all schools, regardless of location or size. Mark’s leadership journey and are a central focus of his work now as QSPA President. NQ School Photography are the only locally owned and operated school photography company in Cairns. We have over 16 years School Photography experience and over 30 years of experience in the Photographic Industry. AMP Advice. We think an adviser is like a personal coach for your money. They bring the right knowledge, expertise and guidance to identify your specific goals and help you achieve them. And a little planning early on can go a long way. AAB Office Equipment has been the Cairns print specialist for over 40 years. Launched by Anton (Senior) Booy on 20 May 1977, the business was originally located on Mulgrave Road. Over the years, our location has changed several times, but our ownership has not. Today, Anton (Junior) Booy is Managing Director of AAB Office Equipment and his three brothers lead all departments within the business, ensuring the very best service for customers. Peter Booy is in charge of Sales, John Booij is the Service Manager and Robert Booij is Chief Financial Officer. The vision is clear: to continue to work with brands and customers to create partnerships that build strength and boost performance and productivity. We achieve this thanks to our team of 20 dedicated, professional personnel, servicing and supporting customers across Cairns and Far North Queensland. Smartsalary Pty Limited is owned by Smartgroup Corporation, an Australian Public Company trading on the Australian Stock Exchange (ASX: SIQ). McLeods Office Furniture has been servicing FNQ for over 20 years. Our showroom has the most comprehensive display of office furniture in Cairns. We supply the Commercial, Education and Hospitality sectors throughout North Queensland. When image counts McLeods can help you with colour, style & design. Find out why more than 43,000 teachers in the Queensland Government’s primary schools, secondary schools, special schools, colleges and TAFEs choose to belong to the QTU. TrackEd we already partner with over 140 schools across Queensland, and it has been great to hear about what a difference TrackEd has made. From the very outset, we have designed it to work with your existing data systems and there is no extra data entry with TrackEd. Instead, we make use of what you already have. TrackEd imports countless datasets from OneSchool, your student photo folders, IdAttend, Mighty Minds, Vivo and anything in a spreadsheet. TrackEd is the only tool available that brings everything together, making data transparent, available and easily digestible. James Cook University. One of the world's leading institutions focusing on the tropics, Australia's James Cook University is surrounded by the spectacular ecosystems of the rainforests of the Wet tropics, the dry savannahs, and the iconic Great Barrier Reef. Our unique location enables students from Australia and overseas to study in a diverse physical environment unparalleled by any university in the world. Ranked in the top 2 percent of the world's tertiary institutions by the respected Academic Ranking of World Universities produced by the Shanghai Jiao Tong University, James Cook University is dedicated to creating a brighter future for life in the tropics world-wide, through graduates and discoveries that make a difference.hat make a difference.). QSuper for more than 100 years, we’ve been helping Queenslanders reach their retirement goals and feel good about their future. Now, we can help you too. From humble beginnings in Queensland in 1913, we’ve grown to become one of Australia’s largest super funds. In 1965 a group of teachers created Queensland Teachers’ Credit Union, so that they could lend money to other teachers. From this small beginning, our range of financial products and services soon expanded. We developed a reputation for delivering a personal banking service, and our more competitive interest rates attracted all Queenslanders. As a result, our membership expanded beyond teachers and is now made up of Queenslanders from all walks of life and from all corners of our great State. QLD Department of Education and Training PO Box 15033 ... Brisbane Qld 4000 ... All enquiries about aschool should be directed to the school in the first instance.